In Berlin we interviewed Nicolas Weber, the co-founder of medneo. medneo was found by three ex-Siemens consultants and its business model is Radiology as a Service — from buying diagnostic imaging equipment to buying of clinical images. The clients of medneo are radiologists, hospitals and other users that need clinical images on a “pay-per-use”-basis. The advantage for customers: flexibility, cost reduction and no investment-, technology- and utilization-risk. Nic told us in detail about medneo’s business model, the plans for the future, market comparison in the radiology across countries, and his advices for other entrepreneurs. Martin: Hi. Today we are in Berlin with medneo. Nico, who are you and what do you do? Nicolas: Well, thanks for being here, first of all. I’m glad that you’re here. So, medneo, what is medneo doing. So maybe I’ll tell you a little bit where we come from, so that gives you a very good introduction. So, my 2 co-founders and myself, we met each other at Siemens, Siemens Healthcare. So we’ve been there for many years. I personally was there for nearly 11 years. And we always discover the same two issues there, that’s the founding principle of what we are doing with medneo. First of all, we saw that the utilization of the very expensive and heavy diagnostic imaging technologies is very-very low. So in any other industry that wouldn’t be possible. So in the airline industry, if the plane is standing as much in the ground then MRI is not running, you can’t afford flight anymore. That was the first observation. Second observation was, that more and more customers from those medical device manufacturers like Siemens, GE and so on, they were asking for a flexible purchasing options or utilization models, like I only pay for a patient. This is really difficult for medical device manufacturers, because they can’t influence the utilization rate. So, I always compare that with car rental agency, car rental agency can’t manage the utilization of a car, if the car is standing in your parking lot and you have the key for it. That’s exactly the case, if you bring that device to a hospital or an outpatient center, you can’t influence the utilization. And those two things are the cornerstone of what we are actually doing. We are operating or building an operating diagnostic imaging centers and operating them as a medical technical service provider, not as a doctor, not as a physician, not as a medical service provider. So the radiologists, the doctors, those are our customers. They’re independent, they are their own entrepreneurs, they can stay independent, they don’t have to commit to MVZ, in Germany like outpatient center, or whatever. They are their own entrepreneurs. They are our customers, but they are only taking care of the medical part. That’s what they learnt in the university, that’s why they become a doctor and everything else is done by medneo. Starting from the scheduling of a patient or if the patient wants to have an appointment, to the management of the patient in the diagnostic center, the image acquisition process, how to scan a patient. So that’s all done by medneo with our own staff, with our own experts. Then after the image acquisition, the radiologist gets the images on our IT infrastructure, that’s also something we develop on our own to enable all those process efficiency steps that we doing. He does the interpretation, writes the final report and after that we take over again, we send out the report to the referring physician, to the patient, handling the invoicing stuff in the name of the radiologist, that’s the patient of the radiologist, it’s not our patient. But we are doing all the organization and administrative things again. So as I said, the radiologist can concentrate on being a doctor, and we can concentrate on, well, all the other aspects that are important to run a business. Martin: Great! Have there been any challenges when you started this business and how did you overcome them? Nicolas: In general, we are quite happy where we are standing right now. The first challenge of course, well, getting out of a huge company, with my 2 co-founders. So what’s the right time to jump, so to say. What are the important partners would stay for networking, we want to take with us and further utilize it in the future. That was the first big step that we’ve taken. Most of the founders have to take the step as well. Well, then afterwards of course it was important having those general ideas and those cornerstones I just described, to actually get into the market, being really operational, knowing every bit of the process details, what to focus on, and of course gaining the trust of the medical service providers, so the doctors. At the beginning that was the hardest part, because for our first diagnostic center, we had to convince them with a Power Point presentation, more or less. For all the other centers, it was quite a major step to be much easier. Because now we can invite them, they can see how we are actually working, how the process is working, what we are actually doing and experienced that. And so, it’s way easier to convince them and to gain the trust, that we can do that as being non-doctors or non-experts in their perception. That was certainly one of the major things at the beginning. It just turns out that being non-doctor is now becoming more and more important for us, more and more beneficial, while talking to doctors, because the differentiation, the scope of what they are doing and what we are doing is so clear. We can’t do the medical part and that’s our core focus, we say we don’t do anything in that arena. But we take care of all the rest. Martin: One core competency of you is that you really try to utilize the fixed assets much more efficient than anybody else in the market. How do you do it? Nicolas: What is utilization? Utilization is how many examination you do per MRI wise, per time, per year, whatever. In general, if you want to do that with an airplane, you have also two measures that you can implement. You can see the plane is flying all the time, and it’s not standing on the ground. You can see that the utilization, so the sit load factor is increased. That’s exactly the same what we are doing as well. We have very long opening hours, so at the moment in Berlin, we are operating 18 hours a day, from 6 in the morning to midnight. We’ll come to the next question, if the patients are coming at that time. They do actually. And the second part is of course, how many patients we can do per hour or per time. That’s also hugely depending on the process efficiency, and there we can do really really a lot without being not very nice environment for a patient, where he always feels to be in a hurry. Our process efficiency measures are indeed bringing kindness to patient while still being efficient. With those to deliver, we increase utilization way more than any other radiology center in Germany, well actually not only in Germany. Martin: On the one hand side we have this fixed assets but on the other hand you also said that you provide some kind of software service to the radiologist. Can you tell us a little bit more whether you develop this by your own and on what type of functions you are focusing? Nicolas: IT is one of the key differentiators in our process, because it supports our process in all aspects. 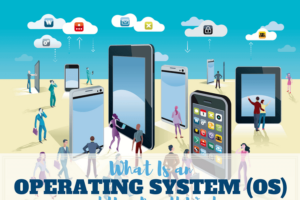 In general, in radiology department, you’re using 2 different kinds of IT systems for your operational process. So one system is the image management system, where you can store these huge data files, huge image files, what such a device is actually delivering. How to manage that, how to store that, how to make that secure, and also manage the viewing whether the radiologist is actually looking at the images and then writing his report, his conclusions. If there’s something damaged in someone’s region. That’s one of the systems. And the second system is the workflow management system, where all the patients’ data is stored, all the medical records, medical history, also the whole workflow is supported, from the scheduling part which is for us, a very very important part because in the scheduling we determine the utilization. So that’s the key aspect of the process there. So whatever works right in the sketching part and works right in the diagnostic center later. But also, all the process in diagnostic center, that’s all managed by this workflow system. And this workflow system was completely developed by our own. So at the beginning, we had to make the choice if we use a system that is out there, but most of the systems in the medical arena, especially very old and they tend to be where you shut down very close, no interfaces, well, all they say in test is secure but having no interfaces has nothing to do with being secure or not. As we learn from other industries, and our system is a total opposite. It’s a very flexible, very open system, while still being very-very secure and having your right authentification measures. And this is very very important, not only for our core business model where we are running and operating diagnostic imaging centers on our own, but also for all future activities that we are doing so we can leverage those IT possibilities that we have. Martin: Nico, let’s talk about the corporate strategy of medneo. Right now you have 2 diagnostic centers, one in Berlin and one in Potsdam. What I found very interesting is that both of them run a little bit different and that also your future, you have some other thoughts on how you would like to operate in the market. Can you tell us something about that? Nicolas: Our core business model as I just described, when we were talking about, is that we really invest in all the equipment, we run the diagnostic imaging centers, and we have a pay-per-use model for medical service providers. That’s our core model and that works very-very good for developed markets, not only Germany, all Central Europe, US, etc. So that’s the model for those kinds of markets. For developing countries, it’s a totally different game. For them, it’s not the question if they can afford an MRI system or they can afford other imaging technology. For them, the question is can they operate it. And operating it, is always three different aspects that have to come together. The first aspect is infrastructure. Being able to actually operate the infrastructure, keep it alive. And there’s only electricity, cooling, interface to building technology, only to name a few of them and that’s really really hard if you’re in a developing country. I saw that myself in the recent years a lot. So that’s the first aspect that you really have to manage. The second aspect is, you need experts in operating the medical devices, so radiographers, the medical technical expertise to acquire the image. And then the third aspect is the medical expertise to do the interpretation of the image, let say, Okay, what’s wrong with the patient and give the doctors then an indication, the referring physicians, how to proceed with the patient. So those 3 things have to come together. And for us, that’s exactly what we are focusing. Infrastructure, we’re now establishing not only radiology that we can be built in an existing building, like what we’ve done here in Berlin. But we have developed a modular concept, where we are using a stand out ISO containers, so shipping containers, so pure shipping containers that we actually use as modules. So it’s not that we bind them together and place the radiology inside, but really each container is a module. So we have a container for the medical devices, we have a container for the entrance area, we have a container for the restroom, for the building technology, for the cooling. And we can even have containers for electricity generation and so on. With this infrastructure, we are able to premanufacture everything here in Germany, together with the partners. We are not a manufacturing company, but we are the integrator or the know how on our side for all the bits of the technology. And we bring the manufacture that up to a rate of 85% roughly and then we can then ship it to developing countries. We basically need a basement there, where we can place the containers and everything else that we brought to those countries. So not only the containers and the infrastructures but as I said also the electricity, internet via satellite, these are all the things we can actually do. That’s the infrastructure part. Let’s jump to the third aspect, the medical part before we come to second one. The third aspect is the medical expertise. That’s actually something we are actually doing or ready based on our IT infrastructure we are developing on our own. We are able to connect other radiologists from all over the world via very-very thin internet cables, so with high latency with low bandwidth. And we already have a few very interesting projects. Our first one was actually in Nigeria, where all the other bigger IT companies said that it’s impossible to connect them and we said that’s just the right reference case for us. And we connected a hospital there. They have a CT, they have MRI, they have conventional X-Ray, their mammography device, but they don’ have a radiologist there. And there is also no radiologist close by, the next one is a couple of hundred kilometers away. And for them, that’s really a problem because while they have some expensive devices there, but actually the results, well, if you don’t have the expertise then it’s hard. So what we’ve done there, we installed our IT infrastructure. They can send their images directly from the scanner, so from those devices directly to our infrastructure. The images are transferred to our network. And now the radiologist will collaborate with us or our customers and here whole thing turns a bit around can earn additional money by actually by working in this teleradiology field and helping those developing countries while earning money for their own business. So that’s the third part. The second part, and that’s something we are using now also on our location in Potsdam as our R&D location, where we actually develop the possibility to remote control such a scanner. That we can bring the medical technical expertise that we have here in Berlin or Germany in general, to those countries and actually guide the scan from remote. We always need somebody locally to take care of the patient, to place the patient on the table and do everything that is necessary locally, but running the very complex image acquisition procedure, that’s something we believe we can do remotely. And that’s one of the R&D things we are developing right now. And then we have all 3 parts together to run a radiology anywhere in the world. Martin: You only need a partner who can operate it and make sure that it’ cool, enough electricity going there? Nicolas: Well actually, we can provide that as well. We can provide cooling, we can provide electricity there if requested or if needed, so that’s something that we can bring to the table. What we are not doing with those projects, we don’t take the utilization risk. Martin: Nico, can you tell us something about the market of radiologists. Like how much revenue are they generating for example in Germany, or in Europe and how this compares to Nigeria or the US? Nicolas: Well, that’s a very funny comparison actually. That in Munich there are more MRI scanners than in complete Northern Africa. That also gives you an indication that there’s quite some room to catch up for them. What I found is a very interesting figure, how many MRI scans per inhabitants you have that also shows which countries are developing and which area. In Germany, like Switzerland, the US, you have between 9 and 10 MRI examinations per 100 inhabitants per year. So that’s the rough rate here, you can calculate on. If you look a little bit around like Eastern Europe, well, depending on the country of course, but you have rates between 2.5 to 4 examinations per 100 inhabitants per year. If you look at Russia, you are below 1, if you look at Africa, you can hardly count it. So that indicates that there’s a lot of room to catch up. And of course those are the countries we look at for our first business model, where we do the utilization in the developed countries. And of course the countries very interesting with the increasing gross domestic product, because we found that the correlation between MRI scans and the gross domestic product is really linear. So it can’t be more precise actually. Nicolas: So that’s pretty clear where we can go in this regard. And for our infrastructure of the machine as I said, developing countries are the core focus like Africa, Middle East. At the beginning, we prefer to stay in our time zones plus minus. But of course, Asia and America is also very interesting for the future. Martin: So my perception is that the medneo business model is quite unique in Germany. Is there some similar business model also working in the US or Canada? Nicolas: Not exactly. So you have big radiology chain, so that’s something you can find. Also in Germany, where radiologists hire other radiologists and have a bigger chain and doing that usually quite regional. So they have a very high presence in regional market but you don’t have one example for whole Germany, and that’s very similar to other countries as well. With all the benefits and also the issues that you have to solve while being radiologist hiring other radiologist, usually the management and the service levels of such a model is not comparable to what we are doing. They key differentiation, being a technical provider and being expert in the technology field that is not that strong. And I think the biggest difference is that the radiologists who are working there, they are employees, they are not entrepreneurs. And that’s the major difference to our model. So as I said, in our model all our customers are their own entrepreneurs, radiologists themselves or working together with hospitals of course as well. They are being their own organization and we don’t hire them. That’s the key differentiator. And I haven’t seen that in Germany, up to my knowledge, I haven’t seen that anywhere else. Martin: We always try to help people and get some advice so they don’t make so much error as they would have been, maybe. What would be your advice for first time entrepreneurs and maybe you can also give some light into what advice would you give on, if you have a business model that is very capital intensive? Nicolas: Well, they are 2 totally different things you have to see. First part, as I said is always financing of course and having a business model that is quite capital intensive, you have to see how you structure your financing needs. So if you want to do everything with equity then that’s a problem for your own shares, more or less. It’s quite stable, but you have to see how to, if you want to have a debt financing for instance to mix that, you really have to see how to get your feet in the ground as fast as possible and have a functioning and working operational business. Because that’s the only reason or the only argument you have to a bank that you have operating cash flow and whole thing is working. So that’s very-very important. In terms of equity, well, search for partners you feel that there’s also a cultural fit. So, I know many entrepreneurs are saying that, but I definitely believe in that. So, there are times when you don’t meet the plans, well at least I heard that, we don’t have that so far. But you need people as a sparing partner. So for me, for us as a founding team, we are coming from a big organization, and big organization has always the opportunity or the advantage that you get a lot of advice from people around you, at least from your boss from time to time. So now being our own bosses, it’s still important to get advice and to get some additional ideas. And while very often you don’t get an honest advice from your employees, you need to search for your own network and here also your shareholders or your investors can be, from my perspective, and should be a very good sparing partner in that regard. Other term of advice, is don’t forget to take care of your customers and your network. So that’s really-really important. Having a great idea and managing all the details is great but try to be operational as soon as possible and I think that’s one of the key things why we are here where we already are. Martin: Thank you very much, Nico!